When I was fifteen years old, I had a crisis of faith. My parents (mom and step-father) had divorced two years earlier. I lived with my aunt, a godly woman, who influenced me to begin studying the Bible to find answers to some of the life questions with which I was wrestling. However, at fifteen I was about to chuck it all. I had been attending my aunt’s church and studying the Bible on my own using my young idealistic lens and very quickly discovered that what I read in the Bible didn’t always add up. I had been baptized, and just twelve months into this new way of living, I was having the first of what would be many crises of faith. I was unaware that such crises would become characteristic of my spiritual journey. Many of you have heard me say that faith doesn’t come easy for me. Over and over, I have had to revisit and reanalyze the reasons for my faith. During that very first crisis, I was most definitely an idealistic teenager whose faith I today characterize as “Bible-anity” rather than Christ-ianity. I was endeavoring to be a “scripturian” rather than a Christian, and I was about to be rattled to my core. Without getting into all the details, suffice it to say that I couldn’t a Christian who could answer my questions to save my life. Then in what I can only explain as a “guided encounter” my path crossed that of a pastor, and I left my home and went to live with him for about two months about three hours away. I had so much to learn and lots to unlearn. I had difficult questions, and I’m sure I drove my new pastor friend crazy, but he very patiently helped me find the answers I was seeking. Although it took me another year before I began to really see God’s love for me, this was the beginning of my tumultuous journey towards believing in a God who is love. Fast forward to twenty years later. Last summer my path again crossed that of my pastor friend. I was so stoked to be able to reconnect with my old friend and my first mentor during a series I gave here in West Virginia. To make a long story short, this reunion led to an invitation to go to a Christian school in Bluefield, WV (about an hour-and-a-half from my home in Lewisburg) where he and his wife are currently pastoring and give a series of presentations to the young people at their school. We spent the entire week examining subjects like why one should believe in Jesus and the dramatic and radical impact Jesus makes not only on our belief in a God but our understanding of the kind of being that God is. We ended this week’s presentations with a look at the Victory of Christ on the Cross and what that reveals about the character of our God. Without exception, each student there made a decision to fully surrender, to not just be a believer in but a follower of Jesus, or, at the very minimum, commit to giving God a chance by getting to know Him through the lens of Jesus rather than through the lens of religion. It was a fantastic week on so many levels for all of us. I want to thank all of you who were praying for the success of this event. This weekend, beginning tonight, I will be in Palo Cedro, CA, doing the new series we are offering this year on forgiveness. 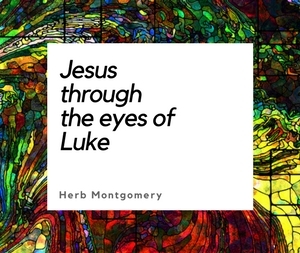 A key element of Jesus’ good news about the Kingdom was the establishment of a new paradigm of seeing, understanding, and experiencing God’s forgiveness. The radical elements of Jesus message on God’s forgiveness attracted sinners and upset the religiously conservative of his day. Among other things, Jesus’ “new” teaching about the Father’s forgiveness led to his crucifixion. It’s challenging for some, but many others hunger for the gift Jesus gives us as they encounter our universal human dilemmas. If you’re in the area, come hang out with me this weekend. I’d love to meet you or, if we have met before, see you again. And if you can’t make it, please be praying tonight and all day tomorrow for me. I truly appreciate it when you pray for these events. The world is a different place because of your prayers. Wherever you are today as you read this message, keep living in love and loving like Christ. Keep building the Kingdom.